When I was in Noida working for Headstrong, my team used to go out for lunch on special occasions. As that area had quite many options, sometimes we used to be in a fix as to where to go. Another reason for long decision making was because different people had their own tastes. And, few of them had even been to places we were zeroing-in on and didn’t want to go again. Now, that was a mess as it would delay our outings that were supposed to become a lifetime memory for a few at least! We tried to plan well ahead in advance, but that also had issues as people wanted to delay it to the last minute. We primarily relied on word-of-mouth recommendations and what we as a team preferred the most. All in all, it used to go just fine most of the times. However, i remember one incident when one of our new team members strongly recommended a restaurant to which his family were regular visitors for many years. He was giving a mouthwatering description of the dishes available there and most of us melted like butter on a parantha and were looking forward to go there. Come the D-day, being a foodie, I was especially charged up; but there was one delay after another as few of the folks were held up in meetings. It was way past my usual lunch time and finally, we went ahead around quarter to 3. We were all very hungry, but to our utter disappointment we found the place closed. The colleague who had recommended us looked pretty sad and asked nearby shops if the restaurant had closed for good. Luckily, it was not! Finally, we ended up having Pizza at a nearby place. However, if there was an App that we could have used to make our experience worth remembering, I am sure we would have booked the restaurant beforehand and known its hours of operation. After sharing that nasty experience with other colleagues, one of them said that they hardly go out. Instead, they order the food online and get it delivered to the office! Now that would save us a lot on the travel time and also from the scorching heat! On talking further, he suggested an App that makes the whole experience of ordering one of its kind – TinyOwl. I tried TinyOwl few days back and explored various options available in it. Placing an order is pretty easy! Just add the delivery location and it pulls up the restaurants nearby. 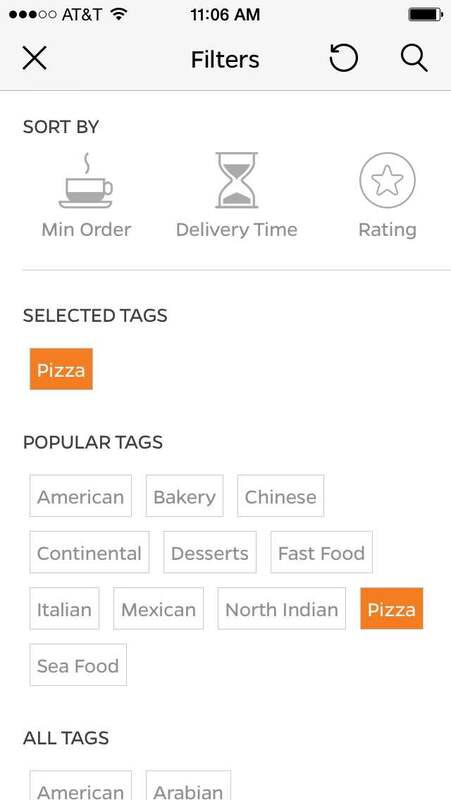 As we have preferences for what we want to eat, the best would be to use the filter criteria available on top right hand side – one can use delivery time, min order or rating, which is what I prefer. Once we add the selected tags, we get the options of places available to order from. 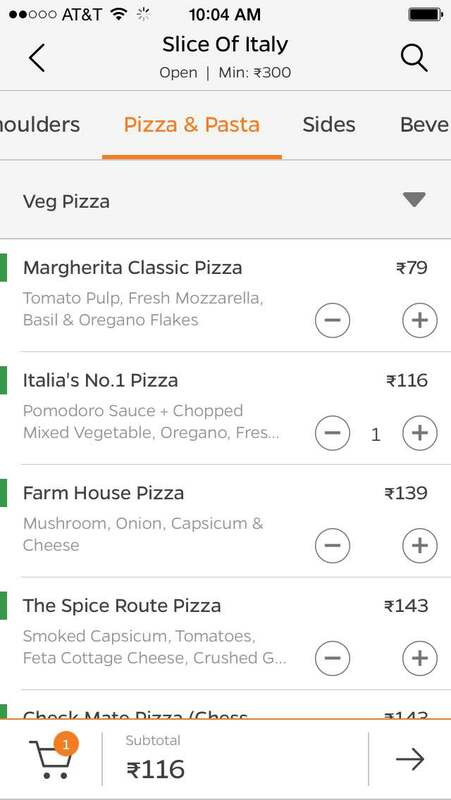 Like I love Pizzas, so I chose Slice Of Italy and it showed that the restaurant was open and its minimum order on top of the screen (snapshot below), which helped me immensely. Various food categories were available on top, one can just scroll the screen from left to right or right to left to go through them. 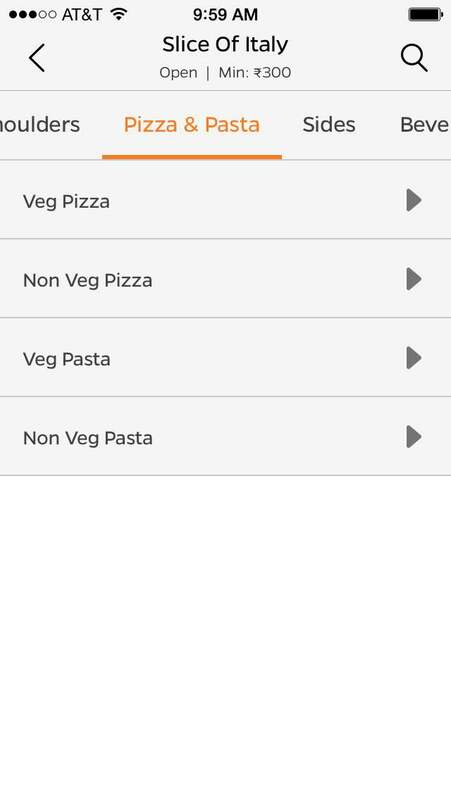 I choose ‘Pizza & Pasta’ and further ‘Veg Pizza’ sub-menu within it. 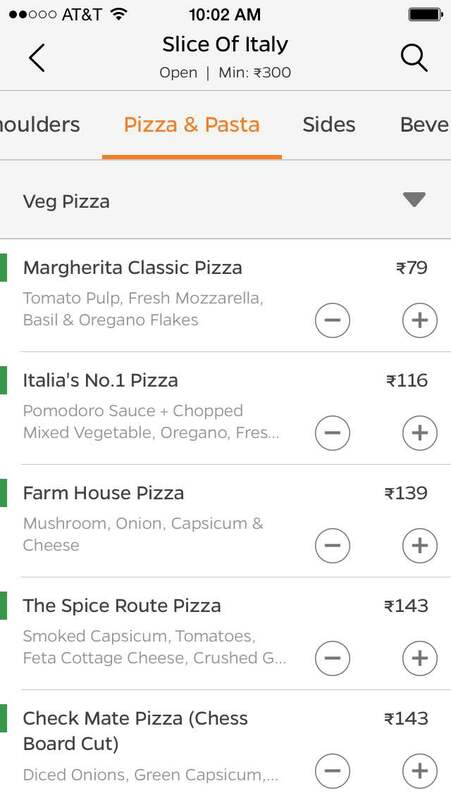 I got various Pizza options from where I chose my favorite ‘Italia’s No 1 Pizza’ and then customized it. After adding it to my cart, a Cart icon at the bottom of screen showed the same. I then added Beverages and Dessert to complete my order. Since I already had an account on TinyOwl, I made the payment using my credit card. As simple as that! Once the order was placed, I was able to track it all the way through till it was on the way to me! I found the app really easy to operate. Dashboard is well organized. 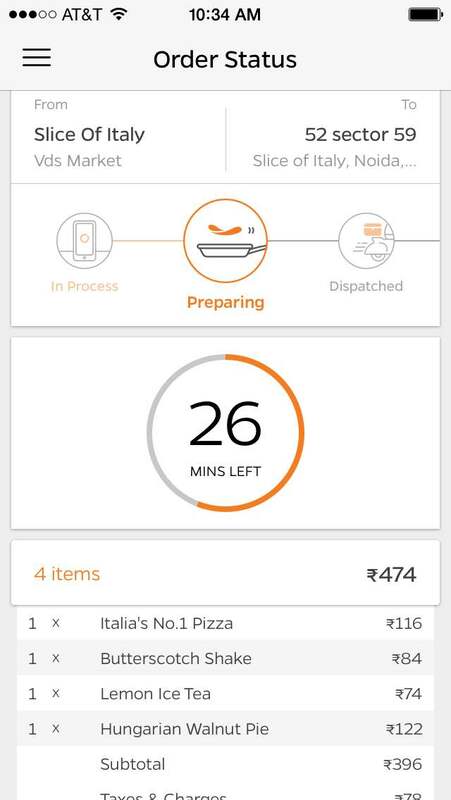 You can check your past orders, order status and offers like free meals. You can edit your phone number, add multiple address and save your payment details for future orders. And in case you ever face a problem, you can just contact TinyOwl and get it resolved. All in all, having food is just at your fingertips. Sometimes, they also have offers. 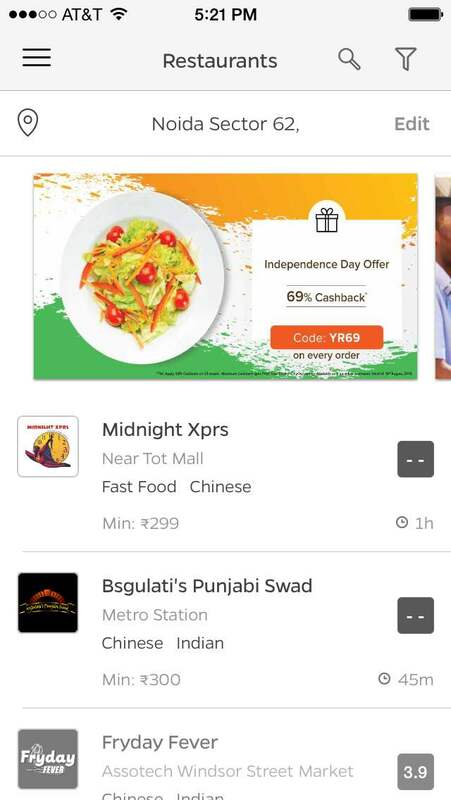 During Independence Day, they had an Offer which was shown upfront as you opened the App (as shown in 2nd snapshot above). 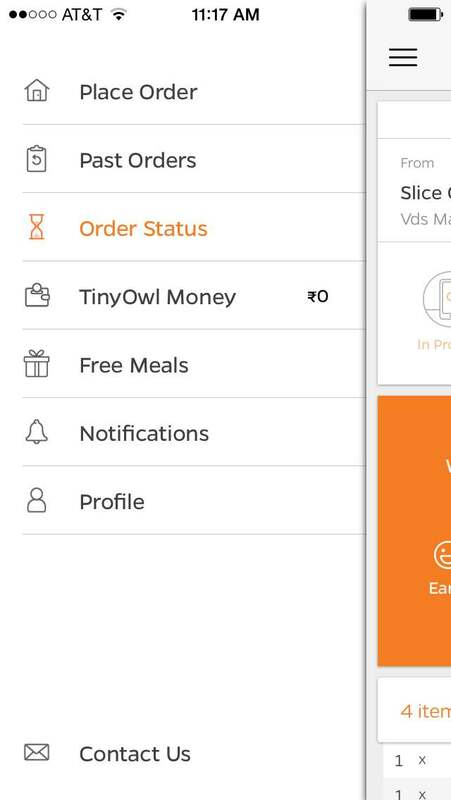 If one refers friends, or earns cash back, they are added in the TinyOwl Money, which can be applied towards future Orders and the best is there is no restriction on the amount that can be applied…you can even get your meal free if you have enough of TinyOwl Money! 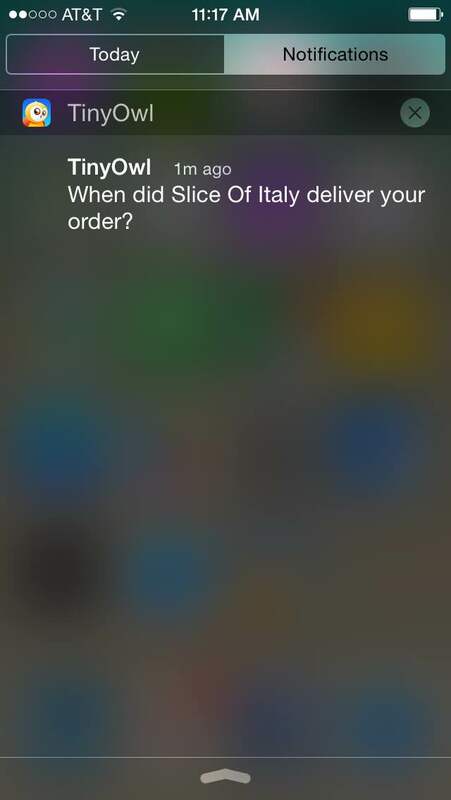 I really liked when they sent me a notification asking me when did I get my Pizza. 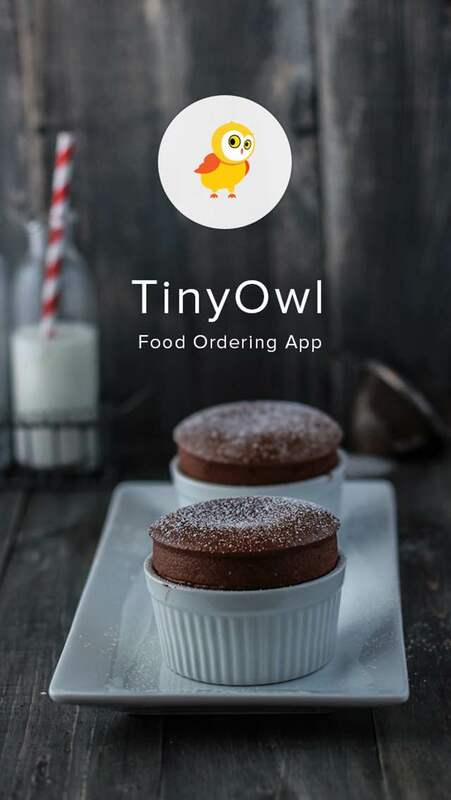 What better can it get, so go ahead and Try TinyOwl on your Android and IOS devices! < Previous I am obsessed with Curves! I am still in the US, this is based on an order i placed few days back for somebody. Technology definitely makes life easier if we put to use wisely. True, but they have an option to find that respective restaurant, place an order with them and track it then…that way time is saved on waiting. Thank you for adding, Aby. Absolutely, Alok. With you on that. Yes, Apps are the future…Flipkart is going App only since they anyway get most of the hits from their App. Great review and I need to use Tiny Owl. 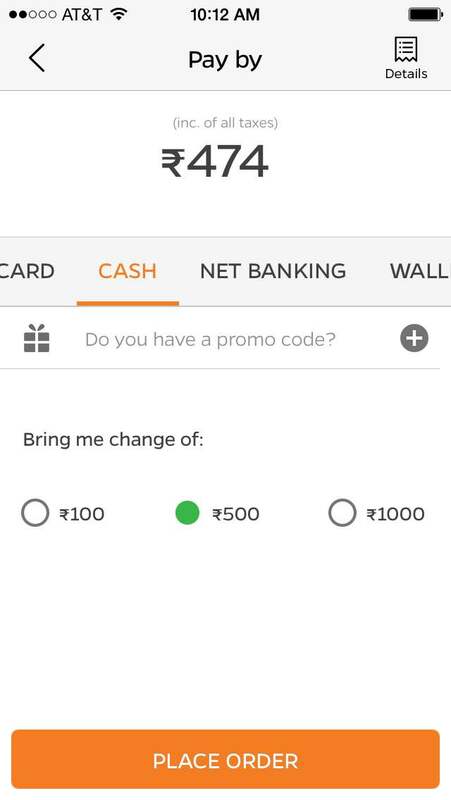 I like that – bring me change of 500, good way to let the delivery person know in advance. Sounds worth a try for sure Alok! True that…deserves a try at least. I was happy with my experience. Thank you for adding, Parul. Thanks for the great review on Tiny Owl. Will try it out. It sounds a very handy app! Thank you for the thorough review! You’re welcome…the app is good. Similar apps here in the Land Down Under. Perhaps I’ll give one a try and see what happens. Sure…they make things easy and quicker! I guess things will keep on changing for the better…and Internet is the lifeline! A good review sir.. India is doing great in the fields of technology .. Here in uk i usually use the pizza hut one .. Yes, apps seem to be the future in India. I have never heard of this App. Thanks so much for recommending it. It was very helpful to see the screen and how you went about choosing. Isn’t it amazing how one decision about where to go to lunch can take so long? I often have the same issues with friends when we try to decide where to go. It sounds like this App would be great to have. 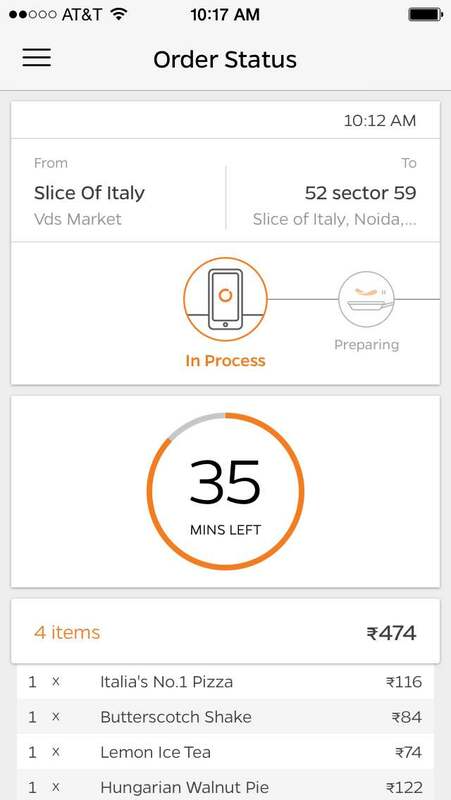 This app works in India…and it was awesome using it. I agree, such apps make your life easy. Thank you for stopping by, Shari. You’re welcome and thanks for adding. A well written review Alok. The app certainly seems to have a good utility. Yes, Somali…I found so. Thanks for adding. Hey Alok, this app might come handy when I visit India next I guess..thanks for the helpful info! You’re welcome, Leena…give it a try. That sounds like a good idea. Must check out this Tiny Owl. Omg that’s so cool !! Too bad we don’t have it here. 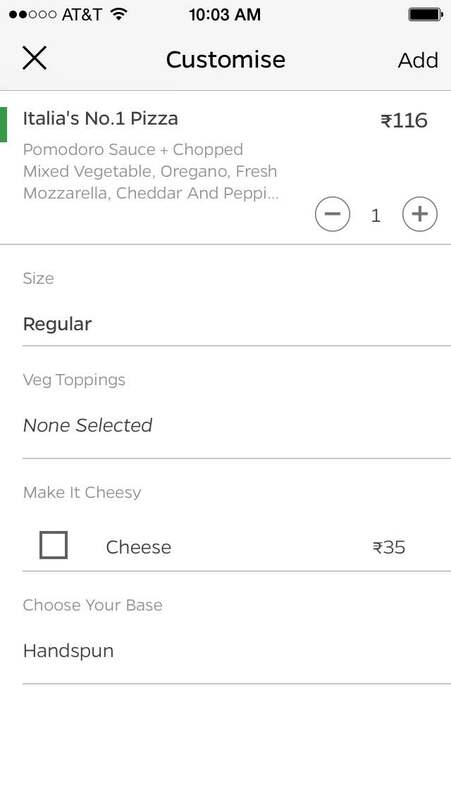 Would have loved to have food some clicks away ! Superbly written! 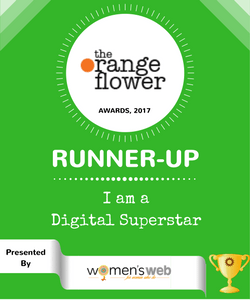 All the best for the contest! Hmm, I find street food always open and willing to serve! Jokes apart, this seems like a useful App. Necessity is the mother of invention, indeed. Hahaha, who knows with the every increasing population we might need an App for street food too (the best ones, of course)! Nah, those survive on their own. Just as nariyal paani needs no advertisement unlike Coke & Pepsi. 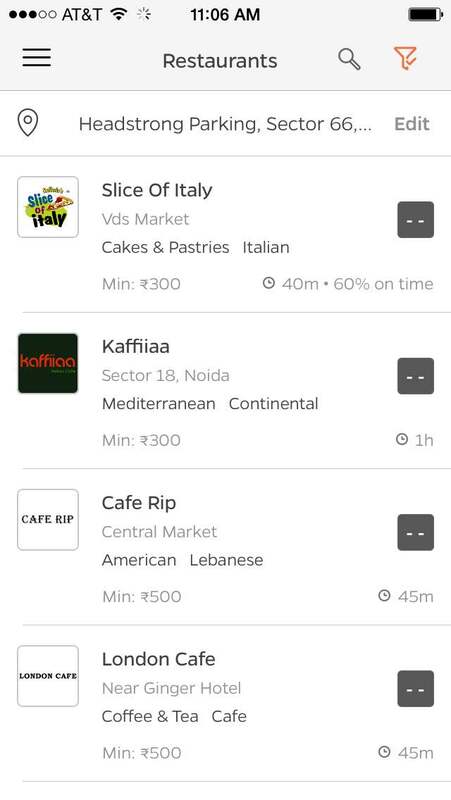 I have never tried a food ordering app but I know a lot of our local restaurants are linked to one. Thank you for walking me through the stages. It’s a great resource especially if we are surprised by guests who want to stay for Dinner! Absolutely, that’s where we need pleasant experience for everybody. Thank you very much, dear. YAY!